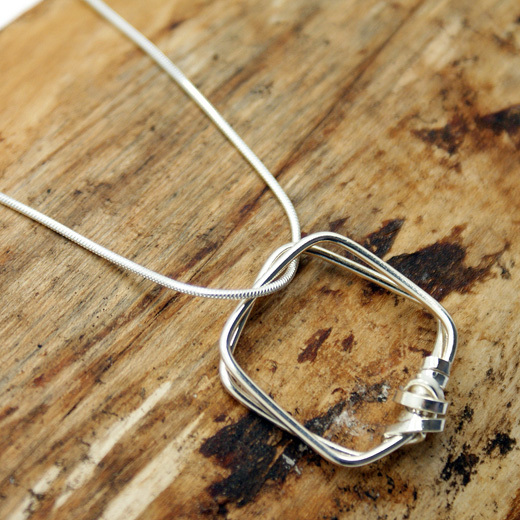 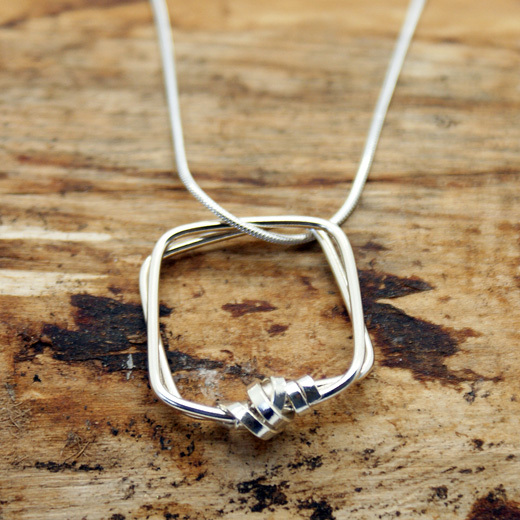 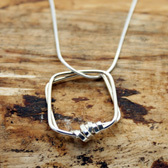 A unique, stylish and individual pendant with chain from the Yulan range, the Sator is a sterling silver pendant created by binding two fine square bangles on one side with a twist of sterling silver and set on a snake chain. 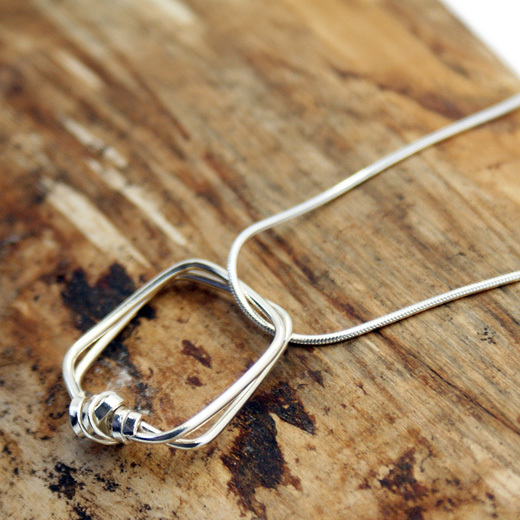 A contemporary and chic design that is effortless to wear with any outfit during the day or at night. We also have a bangle on this page to match this necklace.